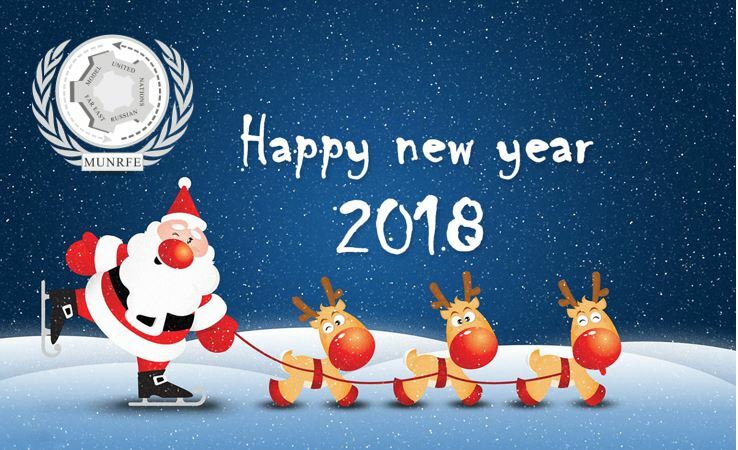 On February 8-11, MUNRFE Executive Director, Ms. Elena Kiseleva, Vice-President of Vladivostok Club, Ms. Alexandra Kosyreva and the Chairman of MUNRFE Governing Council, Mr. Vitaly Savenkov have successfully accomplished their duties as a part of Secretariat at World Federation of the United Nations Associations (WFUNA) International MUN (WIMUN) 2018 in New York, USA. 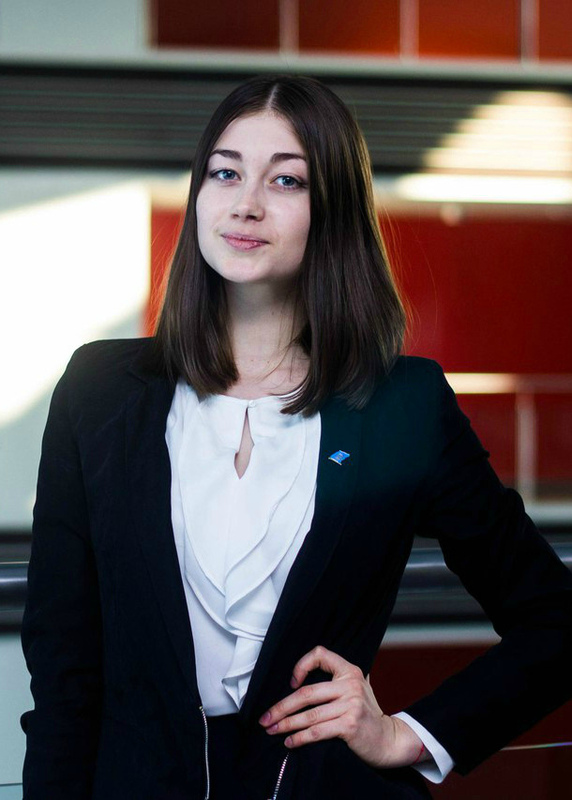 For the first time in MUNRFE history, its representative, Ms. Elena Kiseleva, became a member of the Senior Secretariat, in particular – Under-Secretary-General for General Assembly Affairs and Conference Management. 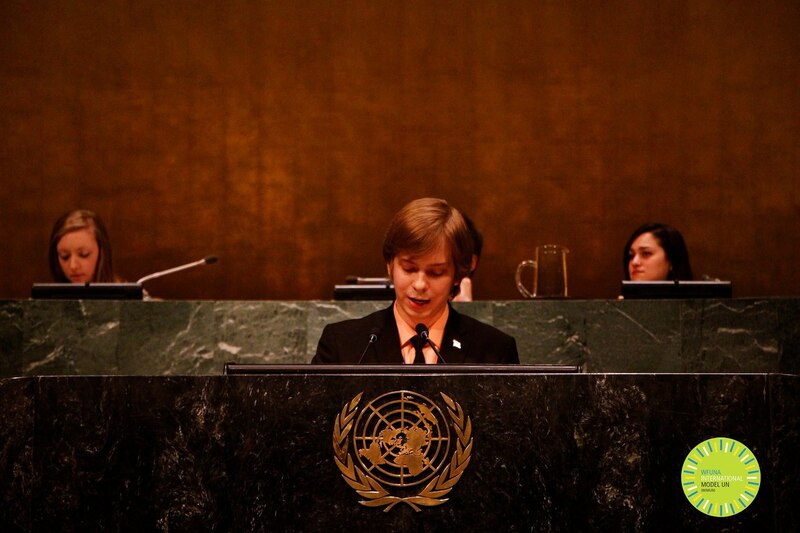 In turn, having completed a competitive international selection process Mr. Vitaly Savenkov and Ms. Alexandra Kosyreva were appointed as a Security Council Director (University) and a Secretary of the General Assembly Committee (High School) respectively. In January 2018 MUNRFE Governing Council unanimouosly re-elected Mr. Vitaly Savenkov as its Chairman. Mr. Savenkov has previously served as a Chairman of the Governing Council for one term since January 22, 2017. During his term Ms. Savenkov has been sharing his knowledge and experience with current MUNRFE leadership in order to facilitate its productive work and to contribute to the overall development of the Organization. Throughout his MUNRFE career Ms. Savenkov has obtained numerous skills and capacities though different positions and projects. Moreover, he possesses a profound international experience, having represented MUNRFE worldwide at different large-scale events. MUNRFE believes that it is essential to ensure knowledge transition from previous generations of MUNRFE leadership to the young ones. That is why the Governing Council came to a common decision to vote in favor of Mr. Savenkov's candidacy. 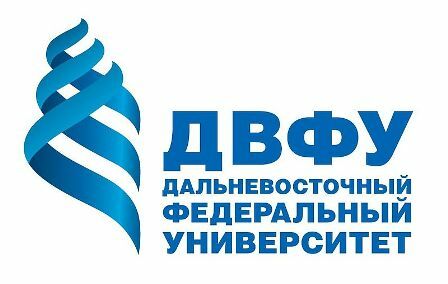 The new academic semester in Blagoveshchensk MUNRFE Club promises to be rich in activities as its first event - Spring School 2018 is yet to come! With the support of Amur State University (AmSU) and MUNRFE Vladivostok Club as well as distinguished guests from Amur Region government, Blagoveshchensk Club welcomes all the students of universities, schools and lyceums of Blagoveshchensk and Amur Region to join the School as participants. Spring MUNRFE School will be conducted from February 26 to March 10 in Amur State University. During two weeks of educational lectures and trainings young leaders will expand their general outlook as well as gain unique knowledge about MUNRFE as an Organization and basic skills that its members can obtain. Being fully involved into the learning process participants will learn how to prepare and give an outstanding speech as well as to develop their leadership and strengthen their negotiation capacities. Furthermore, students will take a chance to debate on the topic: “The situation in Afghanistan: the threat of the terrorist groups” in frames of the final event of the project, defending interests of represented states where they will be granted with an amazing opportunity to get involved into the discussion of the global issue and find the consensus on the problem mentioned. On February 10, the elections of the President of the Blagoveshchensk MUNRFE Club were successfully conducted. As a result by unanimous vote the Club made a decision to re-elect the current President Mr. Ilya Kopot' for the second term with Mr. Nikita Pal'chikov serving as his Vice President for the upcoming spring semester. Both members of newly elected Presidential team have broad experience in MUNRFE activities. 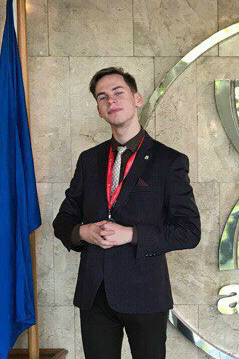 Mr. Ilya Kopot' took part in the MUNRFE 15th Anniversary Conference and Far Eastern Model UN 2017, that allowed him to show his best and receive Outstanding Delegate award at the MUNRFE Annual Conference 2017. 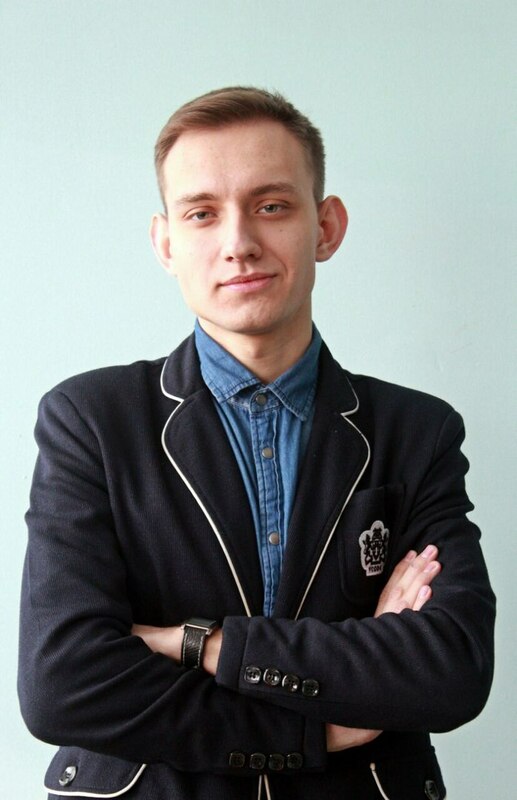 Mr. Kopot' also was the coordinator of the MUNRFE Spring School 2017 in Blagoveshchensk and part of an Organizing committee of FireStarter 2017 in Blagoveshchensk. During the previous term, Mr. Ilya Kopot' demonstrated his leadership capacities and con-tributed a lot to the Club’s development. 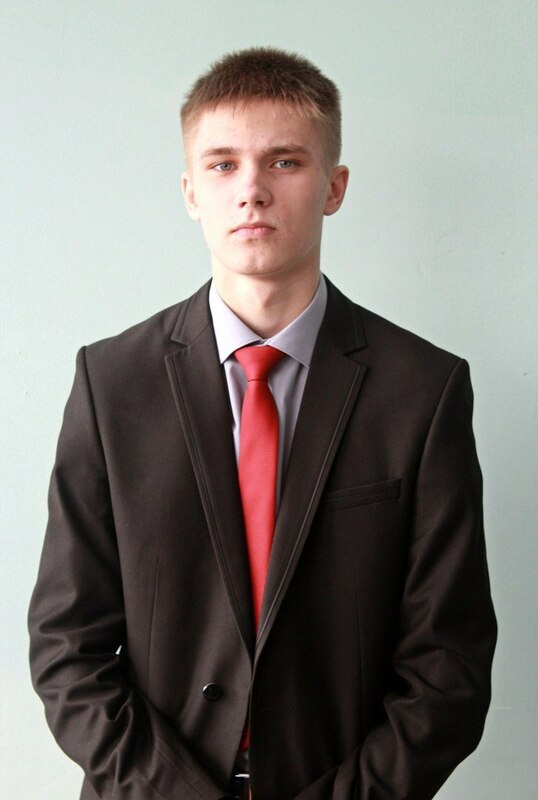 Mr. Nikita Pal'chikov has been involved in the Blagoveshchensk MUNRFE Club since his participation in the Autumn MUNRFE School 2016 at Amur State University. Being a Club’s member he has shown his professionalism in the work of the Club and, as a result, his team became an Outstanding Delegation at the Annual MUNRFE Conference 2017. MUNRFE is happy to announce that the registration for Far Eastern Model UN 2018 will be opened on February, 1. This year the Conference shall be conducted on May 4 - 7 on the premises of Far Eastern Federal University. FEMUN 2018 will host participants from wide range of cities of the Russian Far East as well as countries of the Asia-Pacific Region and will provide young ambitious leaders with the platform for boosting their professional and personal growth. In accordance with the format participants will have an opportunity to play a substantive role at the Conference performing as General Assembly Officials who will be elected prior the Conference. Moreover, traditionally delegates will attend set of trainings devoted to practicing UN4MUN procedure and seminars aimed at raising awareness at international relations and contemporary issues in global affairs. MUNRFE is delighted to share some of the exciting news about its upcoming conference - Far Eastern Model UN (FEMUN) 2018. We are glad to welcome the new leaders of our traditional UN4MUN conference - Secretary-General, Ms. Alexandra Kosyreva and Under-Secretary-General for Conference Management, Mr. Egor Klimovich. Both persons have already demonstrated their strong commitment towards MUNRFE development and have proved their professional capacities in frames of various projects. Ms. Kosyreva previously served as Under-Secretary-General for General Assembly Affairs and Conference Management at FEMUN 2017, as an organizer of the Eastern Youth Economic Forum 2017, as well as Regional Program of the XIX World Festival of Youth and Students. Furthermore, Alexandra represented MUNRFE at the following international conferences - National Model United Nations (NMUN) - Japan 2016 and NMUN - New York 2017. MUNRFE is delighted to introduce two outstanding young ladies who will be in charge of the most bright and exciting project of MUNRFE, Summer Program FireStarter 2018 - Coordinator Ms. Ekaterina Tretiakova and Vice-Coordinator Ms. Anna Timokhina. Both ladies have already proved their leadership capacities in numerous projects within the Organization. 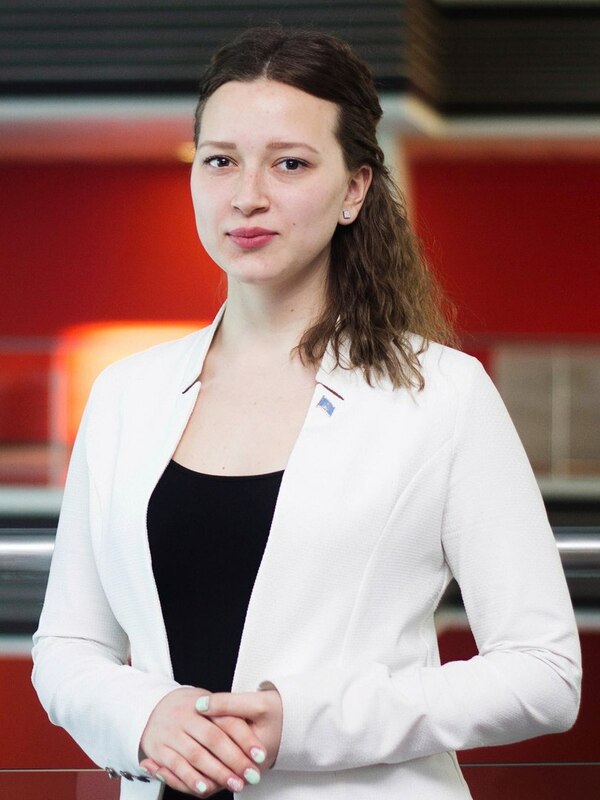 Ms. Tretiakova has implemented the Third Russia-ASEAN Youth Summit 2015 as PR manager, Far Eastern Model UN (FEMUN) 2016 as Assistant Secretary-General for GA Affairs and Conference Management, MUNRFE 15th Anniversary Conference as USG for Conference Management and FEMUN 2017 as Secretary-General. 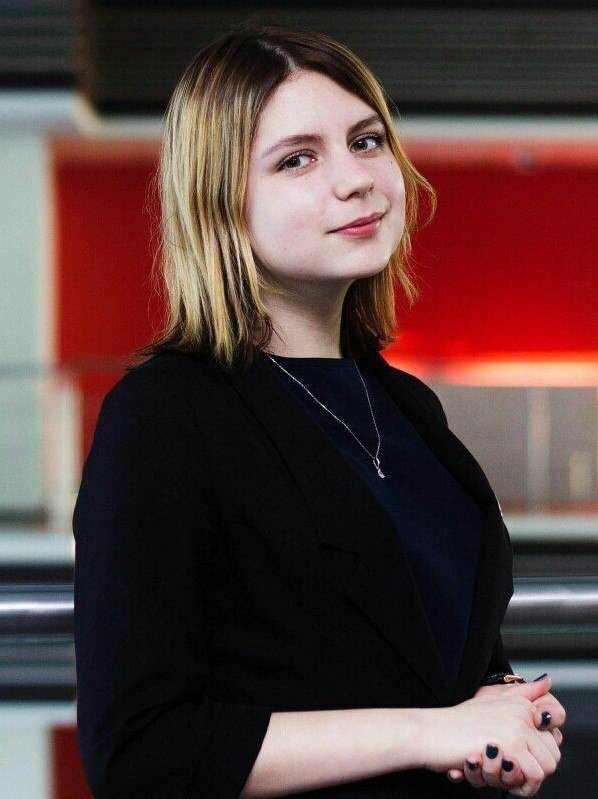 Besides abovementioned projects, Ekaterina was an adviser at FireStarter 2015 and 2017. The year of 2017 became another turning point for our Organization as we have conquered new mountains while pursuing our main goal: inspire youth to lead. We have successfully accomplished our traditional MUNRFE events, having significantly increased the level of their implementation. In this regard, we have conducted the second edition of our UN4MUN conference - Far Eastern Model UN 2017 with the participation of WFUNA Model UN Coordinator Mr. William Yotive. Also, we have successfully conducted our summer program FireStarter and MUNRFE Annual Conference. 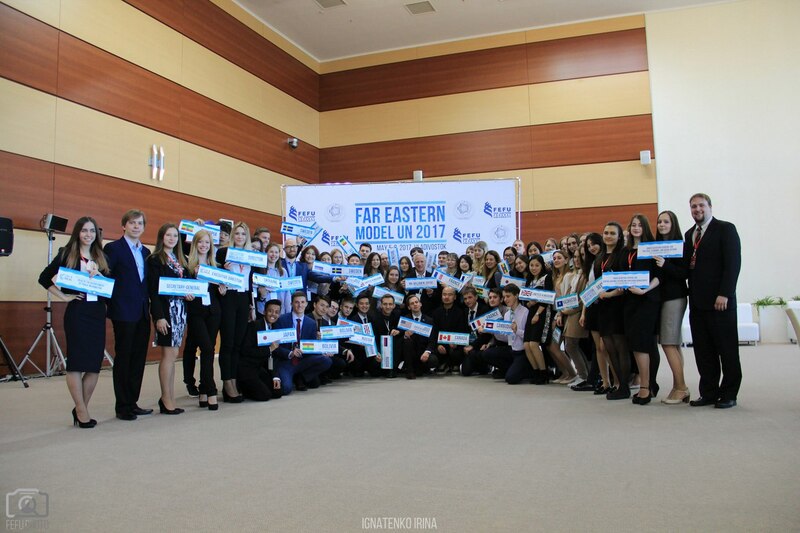 Besides successfully enhancing our traditional events, MUNRFE have completed such brand-new events as APRU-FEFU Undergraduate Leaders’ Program, Russia-Japan Student Forum in frames of the Eastern Youth Economic Forum, Regional Platform of World Festival of Youth and Students and the Student Unity Day in the Far Eastern Federal University. On December 27, 2017 the annual awarding ceremony “Ajax” was conducted in the Far Eastern Federal University. Traditionally, the ceremony gathers the most outstanding students of the university who made a significant impact to its development and performance on the regional and international level. 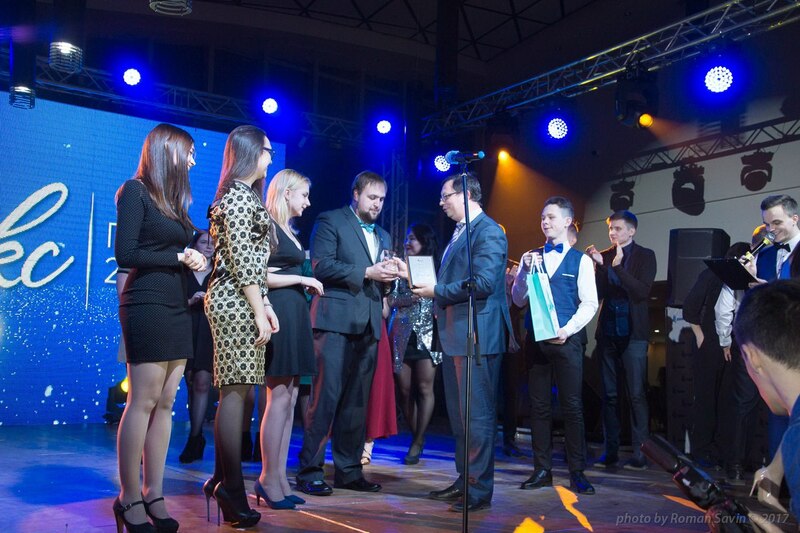 This year, Model United Nations of the Russian Far East was recognized in two nominations: MUNRFE team to National Model UN 2017 in New York received the nomination “Success of the year”, as well as APRU-FEFU Undergraduate Leaders’ Program was nominated for “Event of the Year”. As a result, MUNRFE delegation to the National Model UN 2017 in New York became a winner in the nomination “Success of the year”. 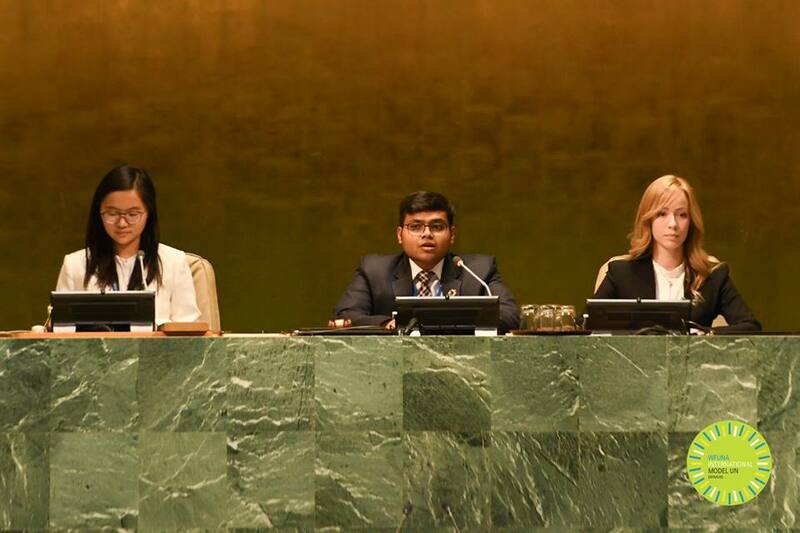 In spring 2017 the delegation, comprised of Ms. Anna Timokhina, Ms. Alexandra Kosyreva, Ms. Julia Nedelkina and Mr. Jesse Thomas (adviser), was granted with the Honorable Delegation Award at the National Model United Nations in New York. 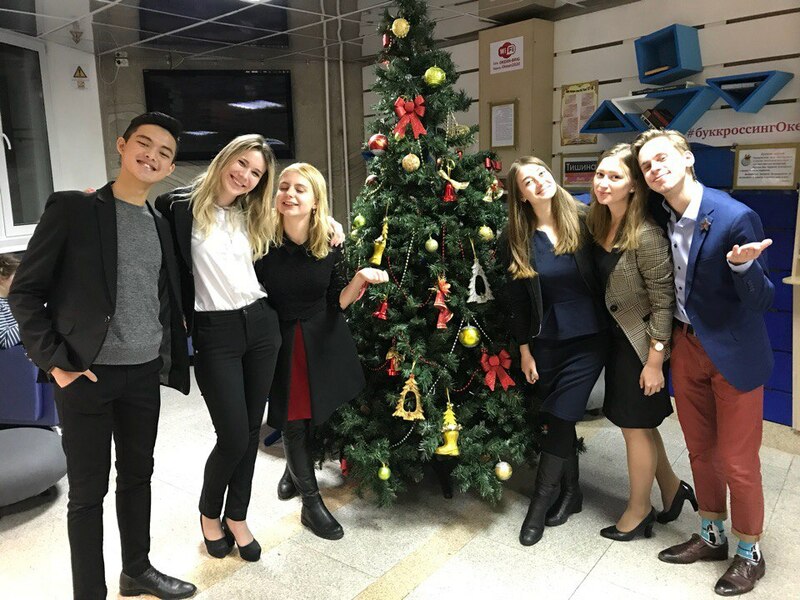 In December 2017 talented and bright MUNRFE representatives contributed to the implementation of “Young Leaders of Russia” program in the All-Russian Children Center “Okean”. On December 12, MUNRFE Financial Director Ms. Ekaterina Tretiakova, Vladivostok Club President Ms. Anna Timokhina, Vice-President Ms. Alexandra Kosyreva, Mr. Egor Klimovich and Mr. Andrew Moon introduced entertaining lecture covering the topics of public-speaking, speech structure and debate techniques incorporating various trainings aimed at preparation for debates. The opportunity to apply new knowledge was not long in coming for children: on December 14 participants of “Young Leader of Russia” contest were to debate and negotiate on the issue of “Providing governmental financial support for projects of youth” from the perspective of three pillars – government, municipality and the youth. Impartial jury in persons of Ms. Anna Timokhina, Ms. Alexandra Kosyreva and Ms. Julia Nedelkina conducted the evaluation of participants' performance in accordance with the following criteria: wide background on the topic, original content, strong defending of distributed position and effective and bright speeches.